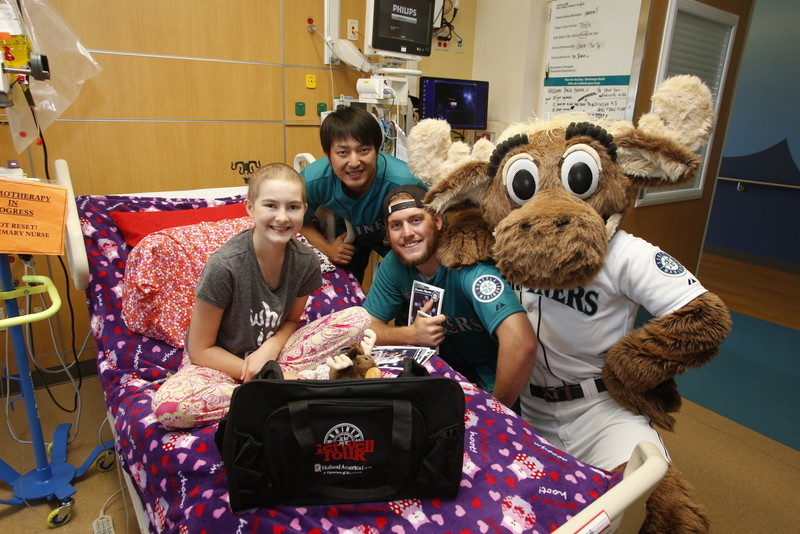 Brandon Maurer, Hisashi Iwakuma and the Mariner Moose visited Tacoma’s Mary Bridge Children’s Hospital today. Mariner pitchers Hisashi Iwakuma and Brandon Maurer spent part of their day on Thursday visiting kids at Tacoma’s Mary Bridge Children’s Hospital as part of the Holland America Line Get Well Tour. 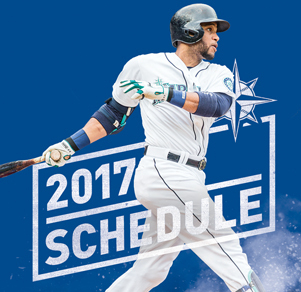 The kids got the chance to meet Kuma and Maurer – and the Mariner Moose – get photos and autographs, and a Get Well Tour duffle bag, baseball and Moose doll, all courtesy of Holland America Line. It was a fantastic day at Mary Bridge. My daughter Hanna was so excited to see Iwakuma and Maurer and the Moose. They came to her room to visit her while she was having chemotherapy. Definitely a real boost to a hospital stay. She posted her selfie with them on her Instagram!